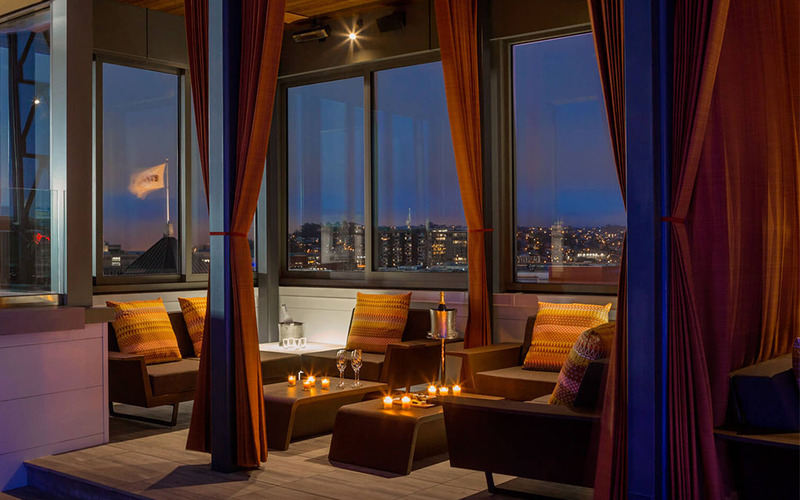 The 5 best new hotel bars in SF. Find an excuse. 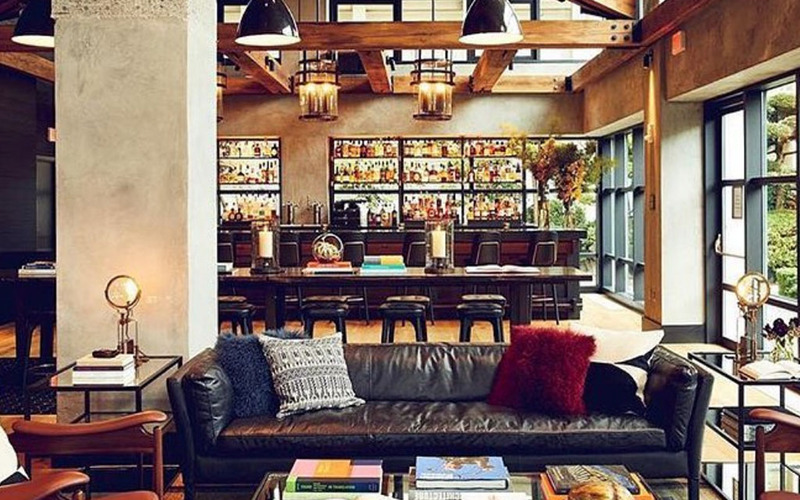 A hotel bar is like a regular bar, but better. Built to impress. Often charged to the company card. And frequented by all manner of traveler and free spirit. Plus, what other bars come with a bed? 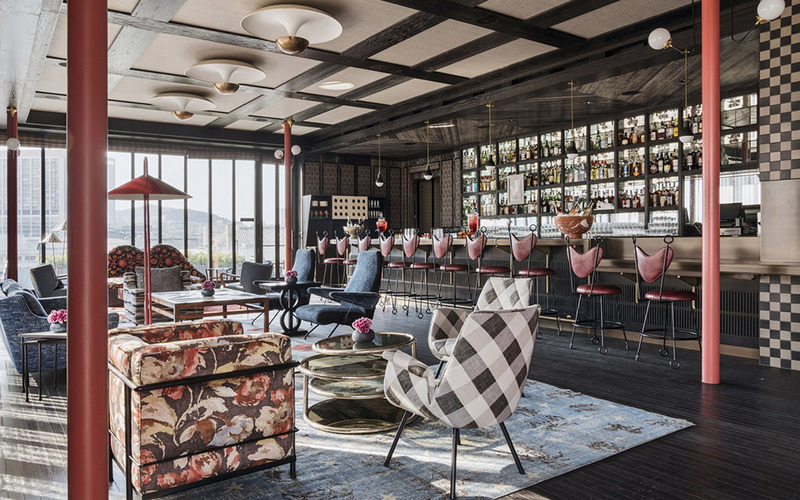 So today, we’re weighing in on the five best new hotel bars in town, each offering exceptional drinks and the option to turn a night on the town into a low-key sleepover. Unless you had a better plan? 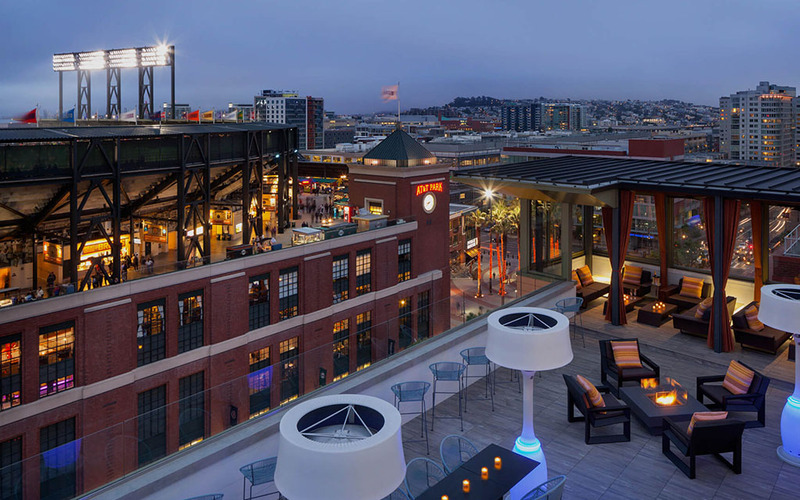 This is hands down our favorite new hotel in town, even if the Market Street location is occasionally less than salubrious. 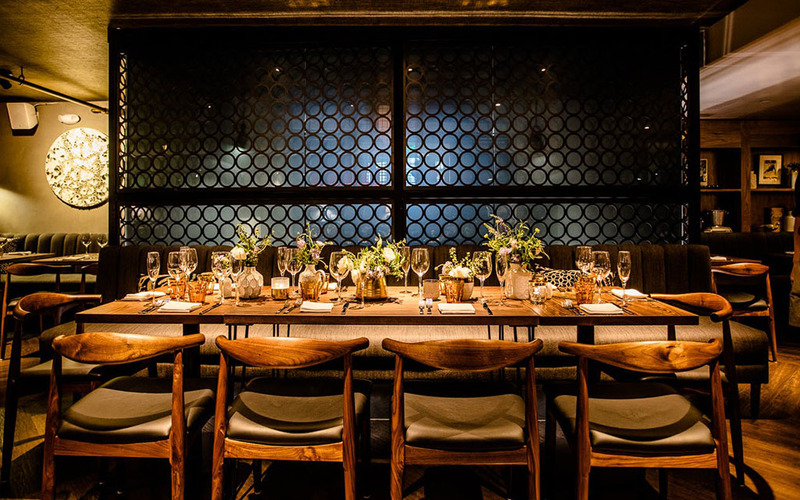 Take the side elevator straight to the rooftop to reach Charmaine’s, pausing to take in the Kelly Wearstler-approved (and frankly magnificent) gallery walls outside Villon’s, the on-site restaurant. The big draw here is the views, second only to Hotel Via. If you’re definitely staying the night, the small yet well-appointed rooms (with Aesop bath products) are our top pick. 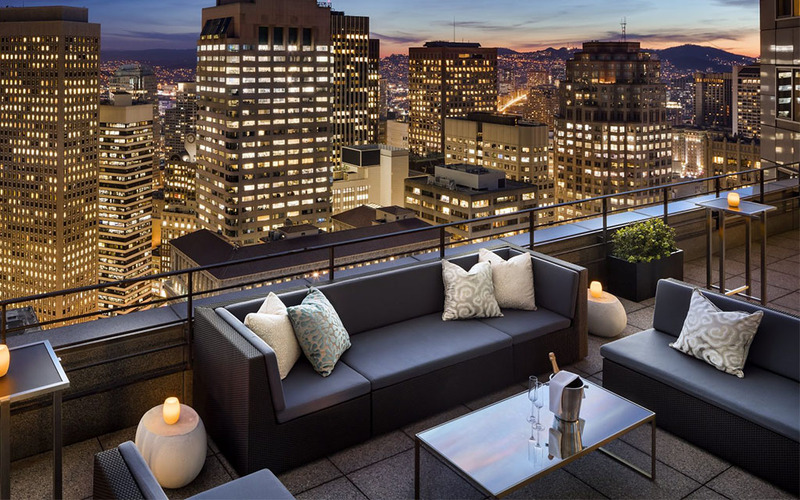 This rooftop arguably has better views than Charmaine’s and a more relaxed vibe. Think more artisanal beers than craft cocktails, though both are on offer. 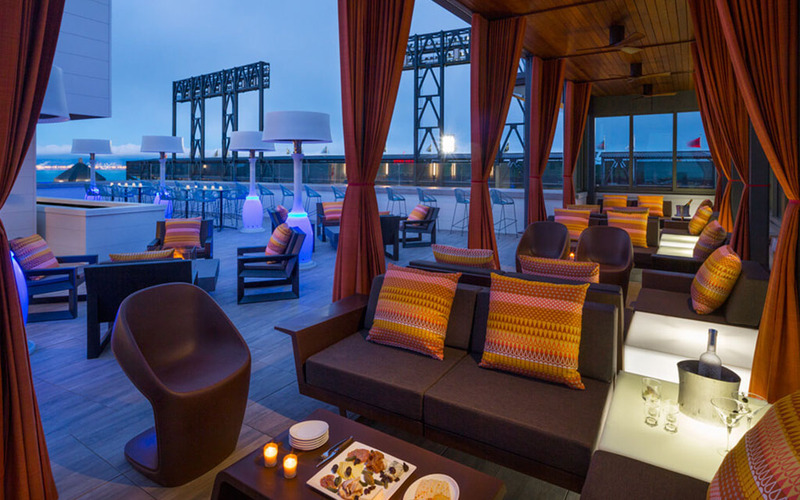 From 12 stories up, you’ll have city-best views of the two bridges, plus the Oakland shoreline. 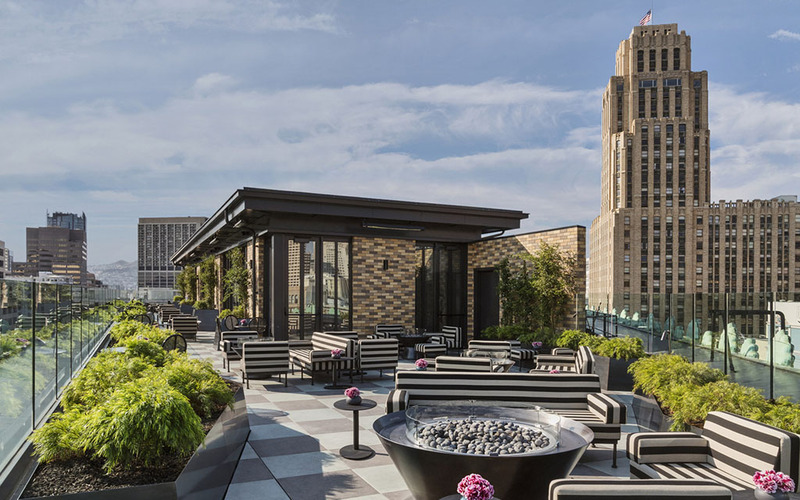 You’ll need to be a guest for access, so bring your jammies and plan to bunk in for the night. 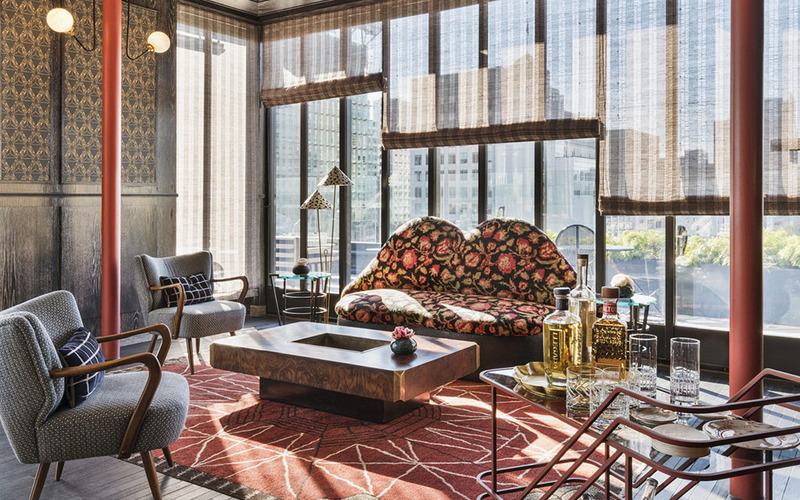 The new bar from boutique chain JDV mines this Japantown hotel’s location for all its worth, offering Japanese design touches like shibori fabrics and shou sugi ban (Japanese charred wood) in the lobby. Keeping with the theme, guests have free access to the Kabuki Spring & Spa baths across the street; even better, the Japanese theme continues at the bar, with a menu heavy on Japanese whisky, sake and Japanese beers, plus specialty cocktails like the Hallo Amanojaku (suntori toki, house masala chai and giffard orgeat, served warm). Start with the spa, progress to the bar and plan to sleep in — it’s the perfect overnight. 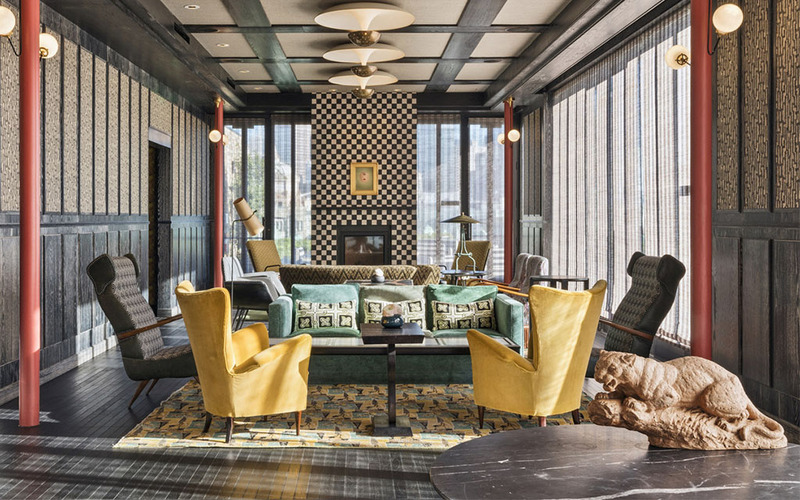 Just opened last week at the Loews Regency, the Bear and Monarch channels a high-end take on the California Gold Rush. (The titular Monarch is actually the bear on our state flag.) 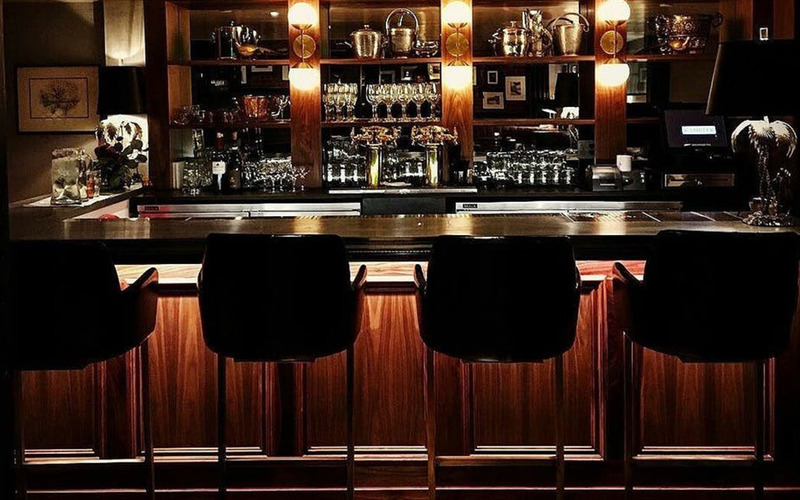 Gold trim illuminates a dark, glamorous space perfect for private meetups after work in the Financial District. Come early — i.e., before 6 p.m. — when hamburgers are half price (if still not-cheap, at $12). 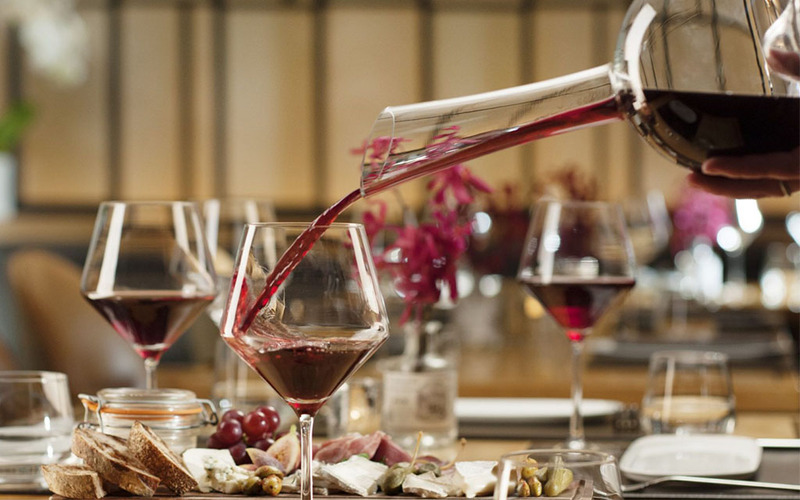 The new Viceroy hotel on Union Square has a bustling spot for drinks ‘n’ eats at Rambler, our choice for making new friends if you’re not bringing an established plus-one. 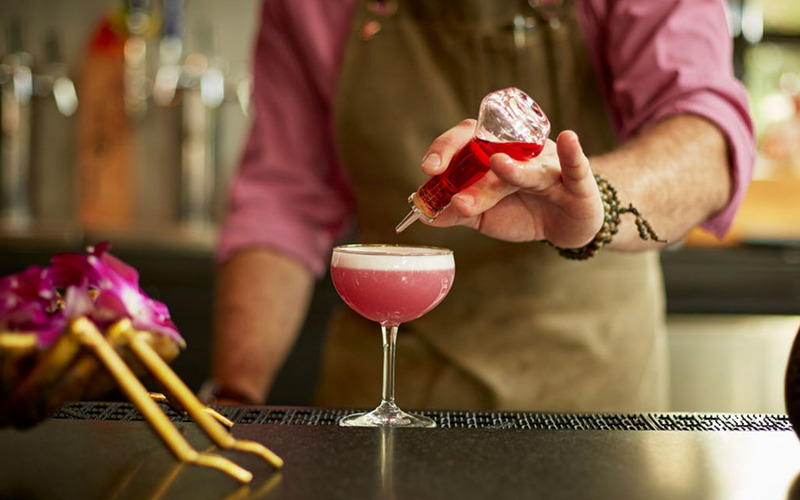 Come by 6 for happy hour at the zinc bar, with craft cocktails like the Zeppelin Martini, with Monkey 47 gin and Alessio Blanco.